Video is here to stay. All digital signs prove video’s staying power and potential growth. From how people consume digital content, to how social platforms favor video in their newsfeed algorithms, to the sheer amount of video content that is available online, and more. Data does not deter – it speaks for itself. Video is clearly a preferred format of consuming content. Business executives agree - 59% of senior executives say that if both text and video are available, they prefer to watch the video version (source). And isn’t that the executive the crowning jewel of who you would like to reach as a B2B marketer? 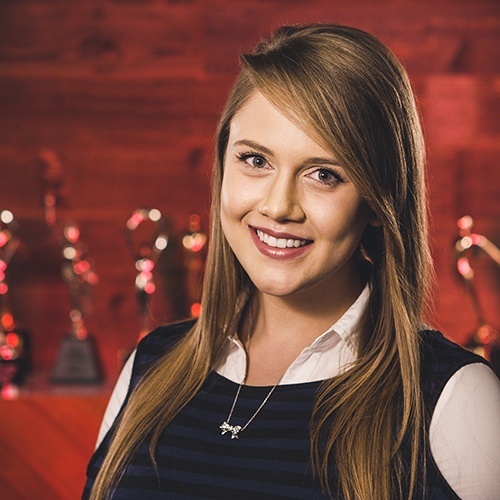 Marketers are turning to video to empower their marketing strategy. They’re making video work for them – to help achieve their marketing and business goals. The strength of video as a content type is clear but inserting a call to action (CTA) can feel a bit force. If a potential customer is profoundly engaged with your content, you don’t want to hit them with the hard sell. It could turn them off! Hard selling is O.V.E.R. So, how do slyly slide in the action you would like your viewer to take after watching your video? 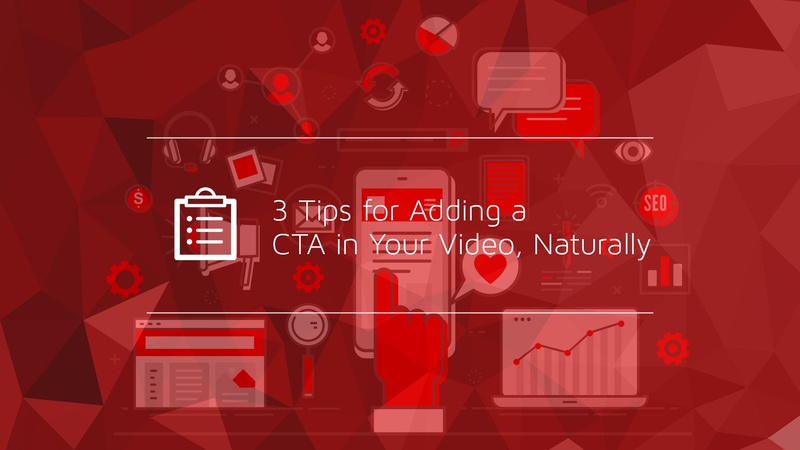 To have a successful video, you must employ engaging content with an integrated CTA. Engaging content means thinking about your video from a story perspective, as opposed to a sales-y, or commercial approach. It’s time to appeal to both their emotional and logical brains – by utilizing a great story, and a branded action that you would like for them to take. You’ve captured their attention, it’s time to capitalize! Establish a unique brand narrative. Know who you’re trying to reach. Create audience personas to inform how you relate directly with your target. Forge a personal connection with your audience. Provide a solution to their problem. How to slide in the desired action? First of all, what action should you prompt through your content? From website visits, to landing page form fills, to social media engagement, to purchases, and everything in between – you must consider the ideal action for your company, and what is appropriate for this particular video campaign. If you’re doing as marketing professionals do, and natively host your videos on each platform, utilize the built-in features that each platform offers for integrating a CTA – easy peasy. Each social and video hosting platform is different, so peruse your options, and choose the one that seems the most natural for your viewers. The end screen of a video is a great spot for sliding in subtle CTAs. This is the most used way that brands include a CTA in their videos. It’s pretty standard for brands to add a frame at the conclusion of their videos, which includes a logo and a tagline, website, company info, etc., then a CTA is presented before the video ends. This ensures that your viewers aren’t bombarded with a CTA in the beginning or middle of their video – they’ve reached the end, so they’re clearly interested in your brand, product, service or video content, so they’re more likely to take action! There are other actions to encourage via video, other than website visits or form fills. You can also point your audience to watch other related videos, or to explore additional content to push them further down the funnel, so they can learn more about you and your product/service. Including an effective CTA in your video, with a great story, will help turn your active viewer into a loyal follower. Take action, and contact Pop Video to be your video and visual content partner today!